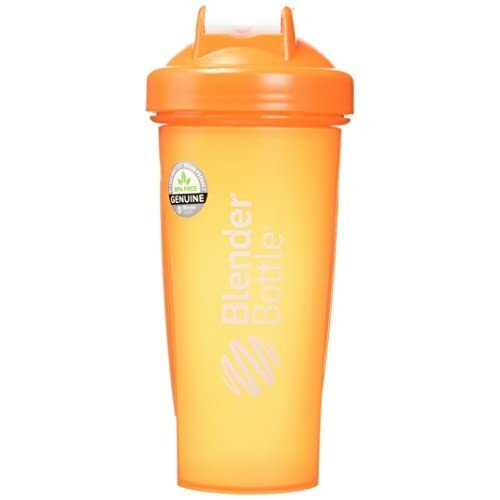 * Made with natural ingredients and botanical extracts. * ANTISEPTIC & ANTI-INFLAMMATORY EFFECT – The natural ingredients remove bacteria on your feet and between toes and decontaminate the skin; the peel mask is a great foot spa procedure on the way to perfectly soft and healthy feet. * Kim-Onni Foot Peel Mask possess the deep exfoliation copes with calluses and dead skin cells, accelerating the process of metabolism, improving the activity of sweat glands and increasing skin elasticity; after the procedure your feet stay healthy, tender and fresh for a long time. 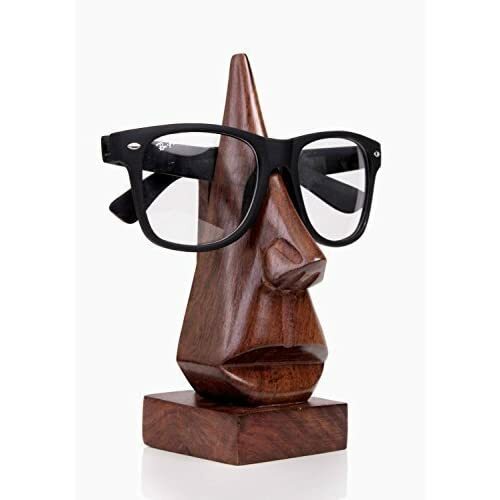 Categories: Home and Kitchen, Home Décor, Home Décor Accents, Kitchen and Dining Features. * Thoroughly wash your feet (soaking in hot water will reinforce the essence’s absorption). For people with extremely rough cuticles, you might also exfoliate your feet prior the usage of the masks. Remove the masks from the pouch and wear them as in case you are wearing your socks. -It is recommended to wear a pair of normal socks outside of the masks, this will make sure that the masks stay in place and facilitate your movement. Wear the masks for 1-2 hours (minimum 30 minutes for sensitive skin). You may experience tingling or warming sensation, this indicates that the masks are working. Stop the usage of if you experience uncomfortable burning sensation. * Remove the mask and rinse your feet with water. Wait for the peeling process to start. Depending on feet’s condition, all the process may take 7-15 days, or longer depending on the absorption of each person (I only started peeling after 10 days). It is normal that some people may experience excessive peeling whereas others may experience very little peeling after the first pair. You may restart the process after 20-30 days (when the peeling has stopped) to achieve the desired effect. When you see that your feet has started peeling, soaking in warm water every night is highly recommended (adding some vinegar is good too). You may use a feet exfoliating tool to help to you remove the dead skin (be gentle). Try not to apply lotion/moisturizer because you wish to have your dead skin to peel off. If you don’t see peeling within 7 days, you may use another mask to reinforce absorption and expedite peeling. This is not recommended if you have newly peeled skin or wounds/cuts. 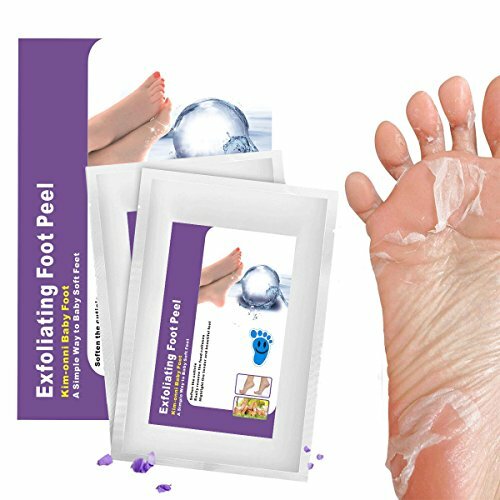 * ANTISEPTIC & ANTI-INFLAMMATORY EFFECT – The natural ingredients remove bacteria on your feet and between toes and decontaminate the skin; the peel mask is a great foot spa procedure in order to perfectly soft and healthy feet. 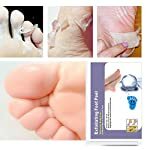 * Kim-Onni Foot Peel Mask possess the deep exfoliation copes with calluses and dead skin cells, accelerating the process of metabolism, improving the activity of sweat glands and increasing skin elasticity; after the procedure your feet stay healthy, tender and fresh for a very long time. * The best foot care remedy for dry, cracked and calloused feet. 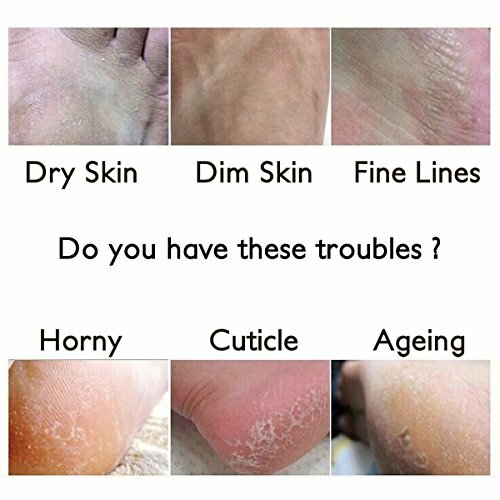 You get soft, beautiful feet in just 1-2 weeks! 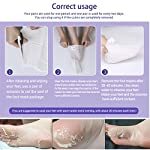 * Kim-Onni Foot Peel Mask is Designed Specifically to Remove Hardened Skin and Dead Cells from Your Feet and protect your feet from Dead cells and Calluses. 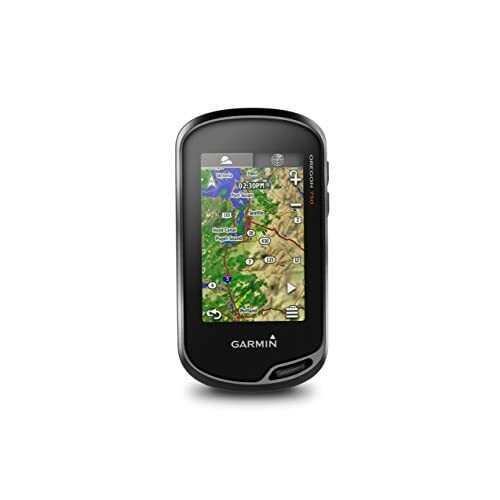 It’s Effective Effortless and Very Simple to Use.